September is here, and it's the first time in a long time that I've actually embraced the fall season this early! Summer is my favorite season, and I normally cling to it for dear life well into September. I think because we started out with June so unseasonably warm, it felt like we've had a long time to enjoy the weather. September 1st, I got out the fall decorations and went to work on our mantel. I try to use what I have on hand, and use as much as I can that is fresh from nature, but sometimes nature isn't ready when you are. 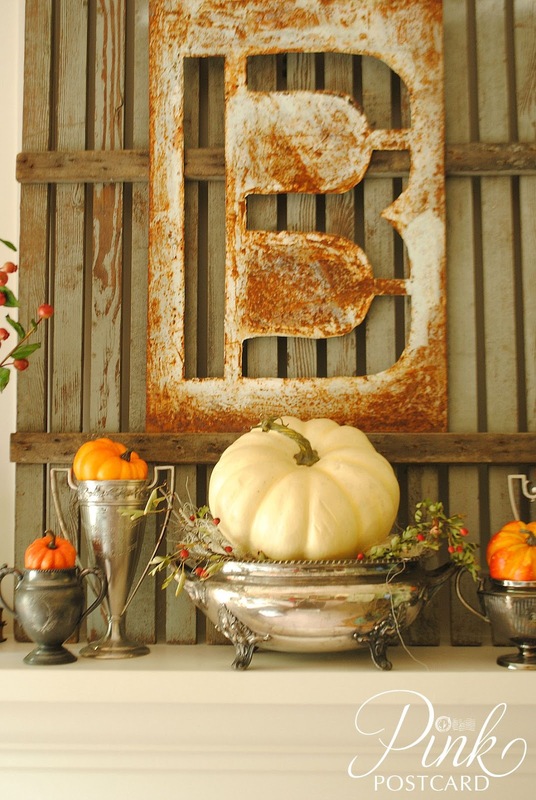 The rusty B stencil is something I wanted to use as the centerpiece for our mantel. 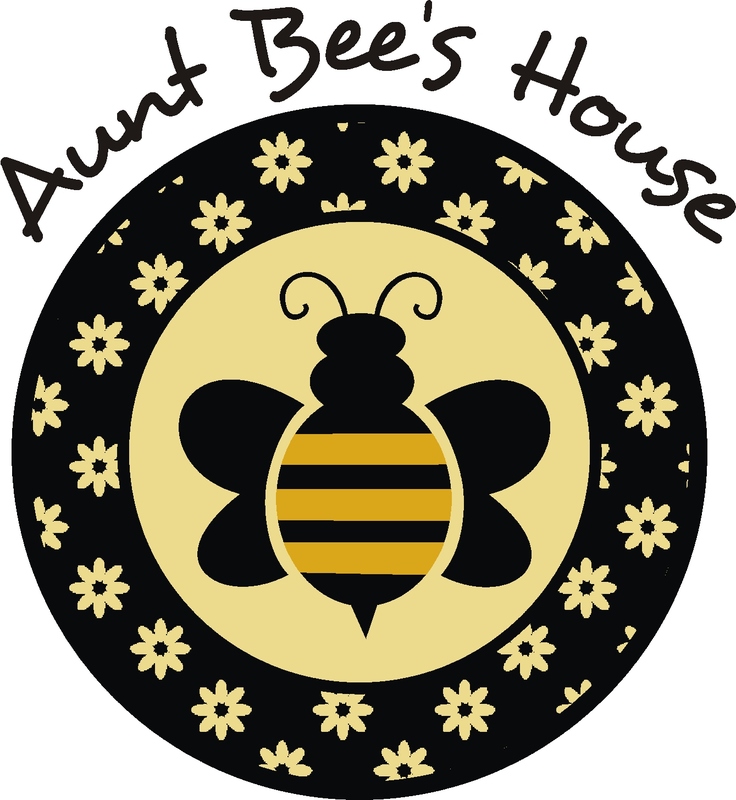 I bought it from my friend, Mona, who is a vendor at Aunt Bee's House. She and I have very similar tastes in vintage, so when I saw this, I had to have it! It's been hanging in our office, but I brought it down here for a new look. 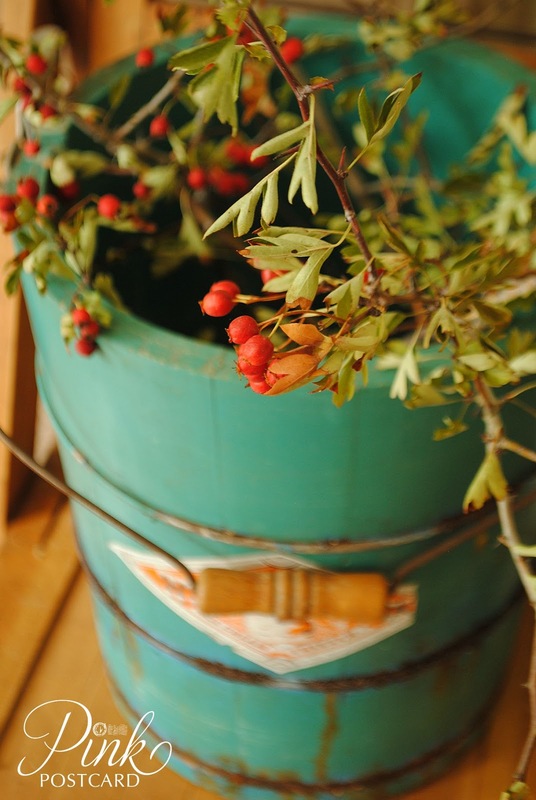 Fall is such a cozy season, when we gather in our families. I like having the reminder of our last initial and family time around the fireplace. I still call myself somewhat of a newbie at antiques. It's funny how I will see certain things from other dealers or collectors and wish I could find something similar, and then I find several in a short amount of time! 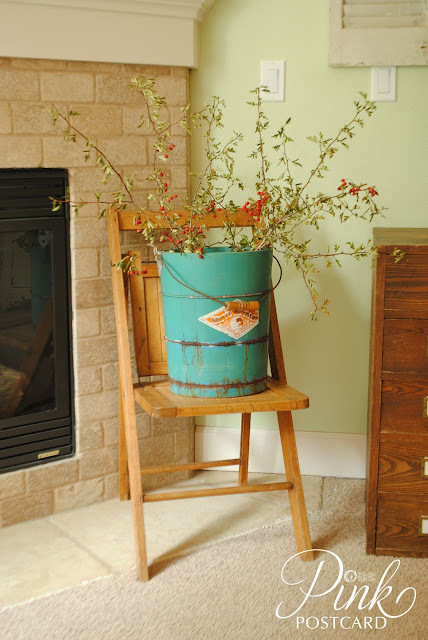 This wooden ice cream maker bucket is in my favorite color, and I just couldn't let it go. The funny thing is, I had found a dark wood one just like it that I was holding on to also- I'm thinking I'll keep that one for our porch! I'm also collecting these wooden folding chairs for extra seating for entertaining. They are much more attractive to me than the padded folding ones we've been using. These berries grow wild here in our neighborhood. They are from a Hawthorne. For the last several years I've been able to go up to an open field around the corner from us to cut a few branches. I think this may be the last year for that- new homes are all being built in that area now, so by this time next year it won't be available. They look great together and tie in the colors of our home. I pulled out several things I've collected- aqua bottles and silver, and put together a vintage rustic look. I love texture, but I also wanted a little sparkle. 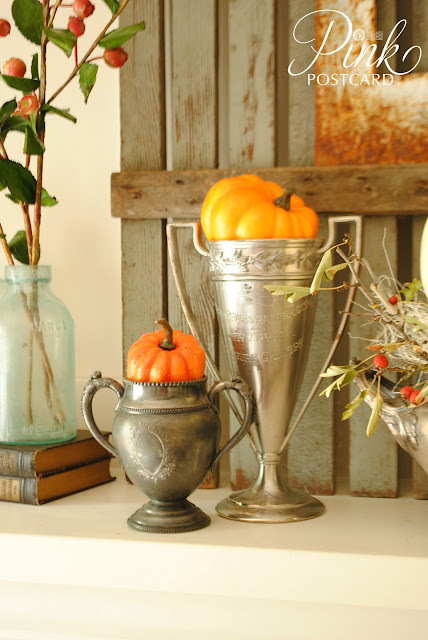 My vintage trophies and sugar bowls were a perfect nesting spot for mini pumpkins. If you want to recreate this look but don't have trophies, sugar bowls with a similar style are usually inexpensive and easier to find. You could also use silver pitchers for the same idea. I also tied in a bit of aqua with some of the bottles I've collected. ...And a few vintage books. Fall is also the time where I want to settle in and read more. We're entering into a new season here- Hannah will be starting high school in a week! I'm excited and I want to cry all at the same time. I think now more than ever I want to bring my family close and enjoy this time together. I know how fast these last few years will go with her at home. Wishing you a cozy and memorable season! 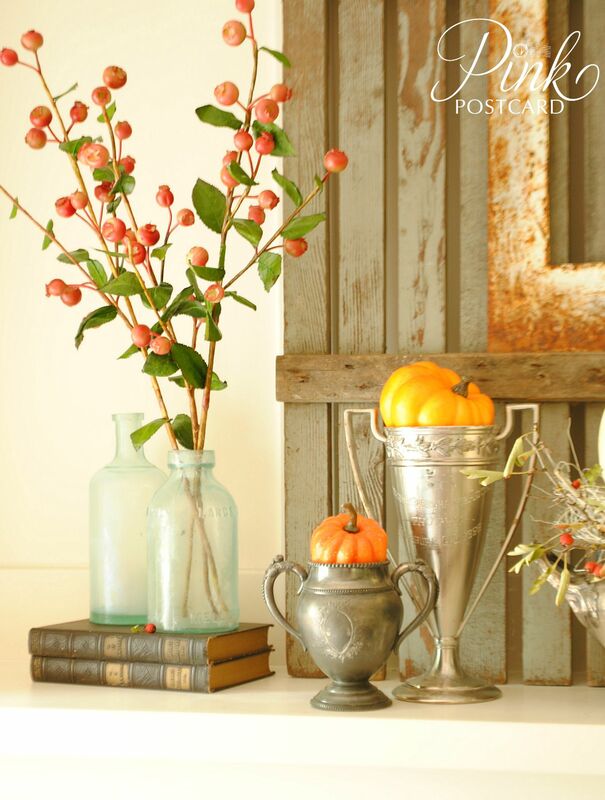 Hi Denise, Your Fall decor is beautiful ! I love the ice cream bucket and the color is wonderful. I am off to browse through more of your lovely blog. 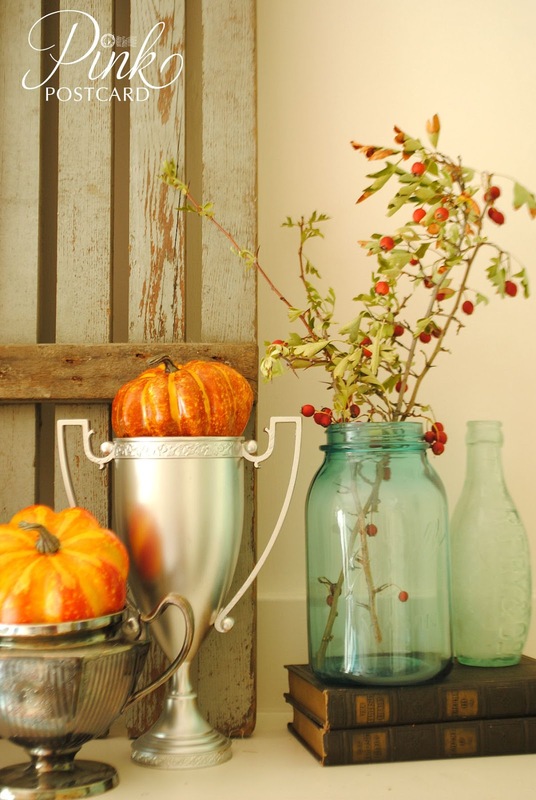 I am loving your fall decorating! I have just started picking some teeny tiny pumpkins and cannot wait to decorate with them! Thank you Monica! I am hoping to find some small pumpkins soon too- happy decorating! Amei sua linda decoração. Moro numa fazendo e gosto de tudo que é rústico. Thank you Minha! :) Hope you have a great weekend! I am visiting via Prince Snow Farm, but I already follow you on IG. I too like to use what I have to decorate and am always moving things from room to room. But, it is full summer here still so I don't have much going in the way of fall decor. Yes! Hi Carol! :) I totally understand~ we had an unusually warm start to summer, and it ended quickly here. I think we'll still have a couple more 80 degree days, but it's definitely more fallish here already. Normally I don't start decorating until mid-September! ;) Hope you get some cooler weather soon! Thanks Julie! :) They've definitely been fun and treasured finds. Thanks for your visit! 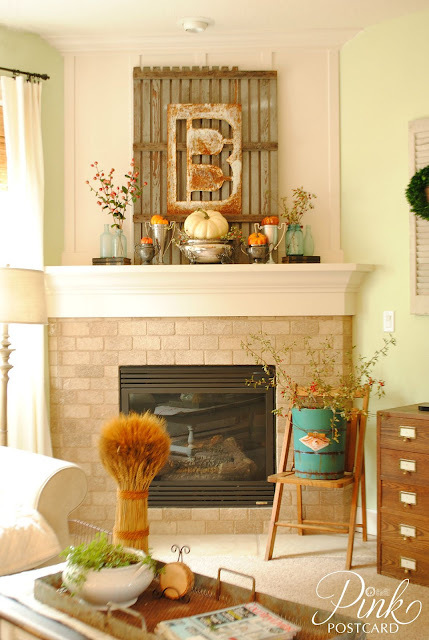 That is one awesome "B" and I am in love with that ice cream bucket (I have been looking for one just like it for about 2 years). Hope you are having a fun holiday weekend. What a beautiful Fall mantel! I lie the pumpkins in the trophies! Coming from feathered nest Friday's and adding you to my bloglovin blog Roll!! Wow! 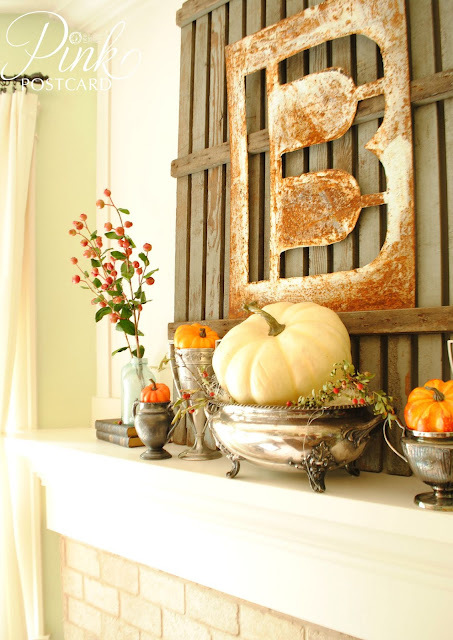 I love your beautiful fall mantel with all the fun vintagy treasures. That B is fabulous, and I LOVE the color of the ice cream bucket too. Denise love your fall mantel! Thank you for doing THT last week. The silver pieces are a really nice touch.